For Prelims and Mains: Bharat Ke Veer- key facts and significance. Context: The government has granted the status of a trust to ‘Bharat Ke Veer’, a private initiative which aids families of paramilitary personnel killed in action. Akshay Kumar and former national badminton champion Pullela Gopichand have been included as trustees. The initiative has now been formalized into a registered trust for providing a platform for all citizens to contribute and provide assistance to the families of martyred personnel. The public can visit the ‘Bharat Ke Veer’ application and website, and contribute to support the families of jawans who die in the line of duty. Contributions to Bharat Ke Veer have been exempted from Income Tax. What is it? It is a fund-raising initiative by the Ministry of Home Affairs, Government of India on behalf of members of the Indian Armed Forces. It aims to enable willing donors to contribute towards the family of a braveheart who sacrificed his/her life in line of duty. This website is technically supported by National Informatics Centre (NIC) and powered by State Bank of India. How it works? It allows anyone to financially support the bravehearts of his choice or towards the “Bharat Ke Veer” corpus. The amount so donated will be credited to the account of ‘Next of Kin’ of those Central Armed Police Force/Central Para Military Force soldiers. To ensure maximum coverage, a cap of 15 lakh rupees is imposed and the donors would be alerted if the amount exceeds, so that they can choose to divert part of the donation to another braveheart account or to the “Bharat Ke Veer” corpus. Context: Iran will handover the strategic Chabahar port to an Indian company within a month for operation as per an interim pact. For Prelims: Highlights, theme and key facts on the summit. For Mains: Significance of the summit and issues associated with mobility including efficiency and public transit etc. 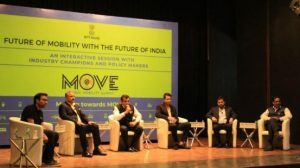 Context: NITI Aayog, in collaboration with various ministries and industry partners, is organising ‘MOVE: Global Mobility Summit’ in New Delhi. It was inaugurated by the Prime Minister of India. Aim of the Summit: The summit aims to bring together stakeholders from across the sectors of mobility and transportation to co-create a public interest framework to revolutionize transport. The summit also aims to set the base for a transport system which is safe, clean, shared and connected, affordable, accessible and inclusive. Maximising asset utilisation and services. Comprehensive electrification and alternative fuels. The summit will feature global political leaders from mobility space and will see the participation of over 2200 participants from across the world including government leadership, research organizations, academia, industry leaders, think tanks and civil society organisations. The conclave will see over 30 global CEOs, 100 state officials, and foreign delegates and 200 Indian CEOs participating in the event. International representation from embassies and the private sector will include the US, Japan, Singapore, South Africa, South Korea, New Zealand, Austria, Germany, and Brazil. Mobility is what keeps the engine of life running. Whether it is personal mobility for work or leisure or mobility of goods across value chains, without the ability to traverse large distances in short time spans, civilization would not be where it is today. In an urbanizing world, mobility is integral to city design, facilitating the evolution of physical space for liveability. 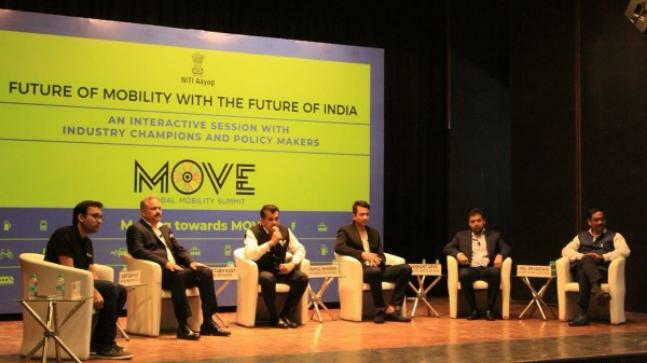 Ranging from pedestrian and personal transport to public transit and freight movement, mobility is a crucial piece of the development puzzle and the key to unlocking the potential of India’s economy and people. Across sectors, public and private expenditure is being invested in effective and efficient transport. The challenge lies in ensuring that these systems meet the needs of their users in a sustainable manner. It must be clean for environmental benefits, shared to maximize asset efficiency, and connected to meet user needs from end-to-end. Affordability of public transit is key for low-income users, and of freight for industry. Accessibility and inclusivity is crucial for remote and differently-abled users across geographies, with the philosophy of leaving no-one behind. Safe, energy-efficient and low-emission systems are necessary for India to meet its international commitments on climate change. As mobility is what keeps the engine of life running, it is a key to unlock the potential of India’s economy and people. 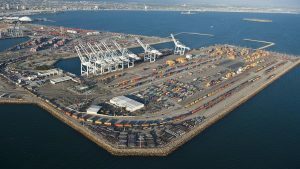 Affordability of public transit is crucial for low-income users and of freight for the industry. Accessibility and inclusivity are crucial for remote and differently-abled users across geographies, with the philosophy of leaving no-one behind. Safe, energy-efficient and low-emission systems are necessary for India to meet its international commitments on climate change. For Prelims: CTBT- key facts. For Mains: Significance of the treaty and why India is not willing to sign the treaty, what needs to be done? Context: UN chief Antonio Guterres recently reiterated his appeal to eight nations, including India and the US, to ratify the Comprehensive Nuclear-Test-Ban Treaty, saying the failure to bring it into force undermines global efforts to ensure a world free of atomic weapons. Another major concern was Article XIV, the entry-into-force (EIF) clause, which India considered a violation of its right to voluntarily withhold participation in an international treaty. The treaty initially made ratification by states that were to be a part of the the CTBT’s International Monitoring System (IMS) mandatory for the treaty’s EIF. 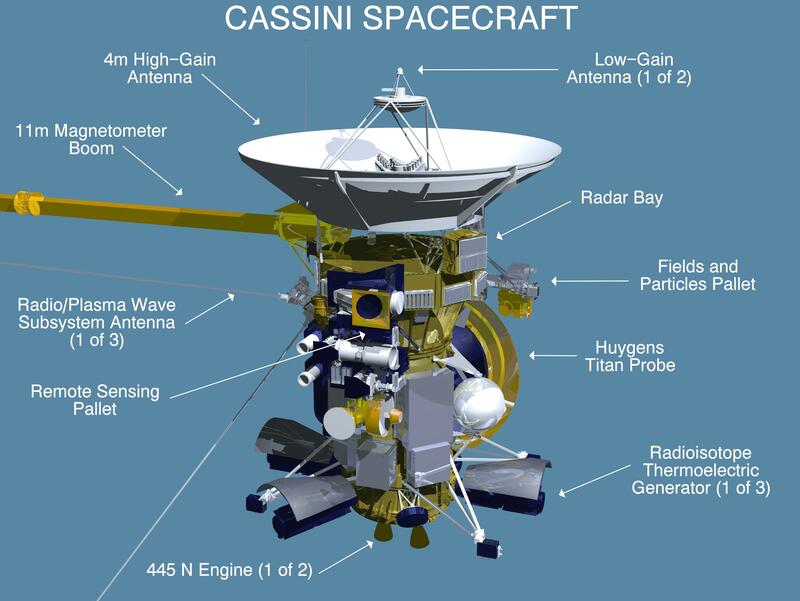 For Prelims: About Cassini Mission and its accomplishments. For Mains: Significance and key objectives of the mission. Context: Using data from NASA’s Cassini spacecraft, scientists have spotted a surprising feature emerging at Saturn’s northern pole as it nears summertime – a warming, high-altitude jet stream with a hexagonal shape. The results suggest that the lower-altitude hexagon may influence what happens above, and that it could be a towering structure hundreds of miles in height. For Prelims and Mains: Features, significance and objectives of Kepler’s Mission and TESS. Context: NASA’s planet hunting Kepler space telescope — which has led to the discovery of over 2,300 planets so far – has woken up from sleep mode and has restarted its scientific operations. 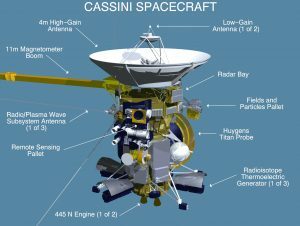 NASA has been closely monitoring the probe since it is expected to run out of fuel soon. 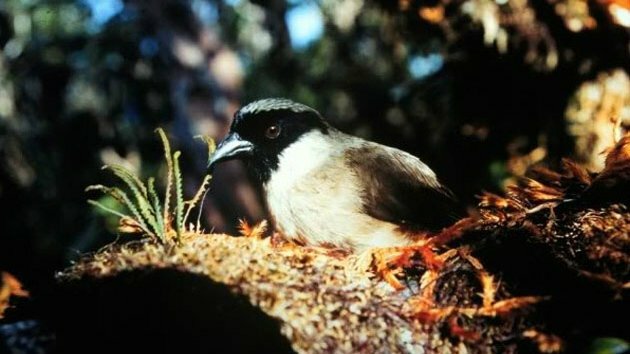 Scientists have declared eight species of birds to be extinct in what are being seen as the first avian extinctions of the 21st century. The study was conducted by non-profit “BirdLife International”. It assessed 51 species judged “critically endangered” on the International Union for the Conservation of Nature’s (IUCN) “Red List” by using a new statistical method. The species gone extinct include Spix’s macaw, the Alagoas foliage-gleaner, the cryptic treehunter, the Pernambuco pygmy-owl, the poo-uli, or black-faced honeycreeper and the glaucous macaw. BirdLife International (formerly the International Council for Bird Preservation) is a global partnership of conservation organisations that strives to conserve birds, their habitats and global biodiversity, working with people towards sustainability in the use of natural resources. It is the world’s largest partnership of conservation organisations, with over 120 partner organisations. The IBAs are “places of international significance for the conservation of birds and other biodiversity” and are “distinct areas amenable to practical conservation action,” according to BirdLife International. Declaring a site as an Important Bird and Biodiversity Area does not ensure that the site gets legal protection or becomes inaccessible to people. Instead BirdLife International encourages national and State governments to recognise the areas as sites of vital importance for conservation of wildlife and to empower local community-based conservation initiatives. What is it? It is the first known omnivorous shark species identified by scientists recently. 60% of its diet consists of seagrass. The species graze upon seagrass, in addition to eating bony fish, crabs, snails and shrimp. 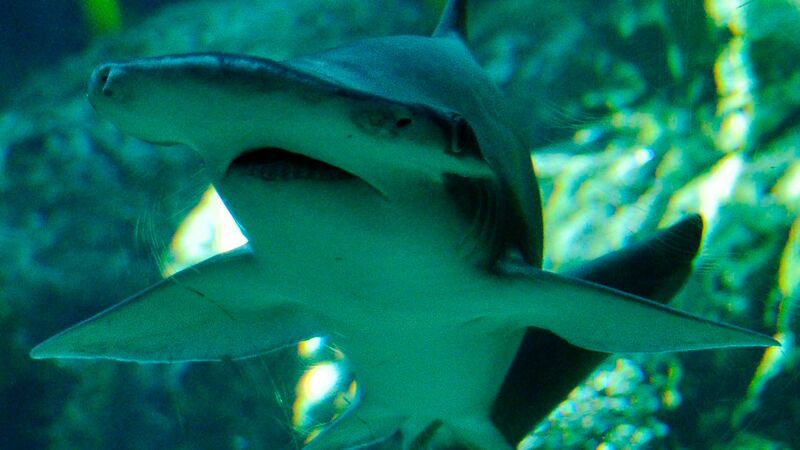 The bonnethead shark is abundant in the shallow waters of the Western Atlantic, and the Gulf of Mexico. Though small by shark standards, adult females — the larger of the sexes —can still reach an impressive five feet long. 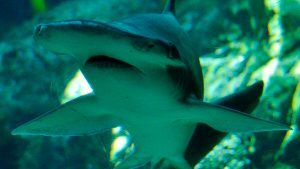 Lacking the kind of teeth best suited for mastication, the shark may rely on strong stomach acids to weaken the plants’ cells so the enzymes can have their digestive effects.